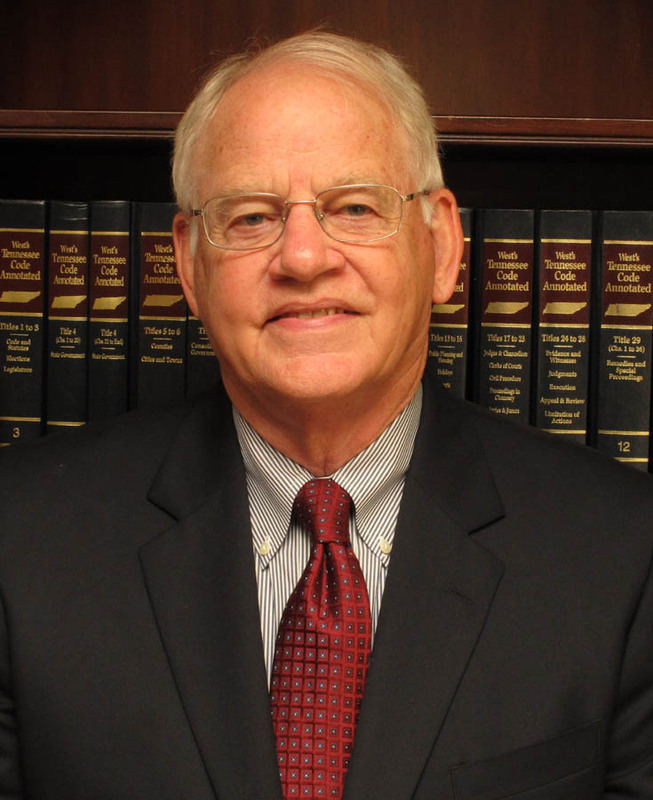 Joe M. Looney was licensed to practice law in the State of Tennessee in 1971. He is a native of middle Tennessee, having been born in Murfreesboro and raised in Shelbyville, Tennessee. He attended the University of Tennessee and obtained a Bachelor of Science Degree in Economics in 1968. He obtained a Doctor of Jurisprudence Degree from the University of Tennessee College of Law in December, 1970. While in Law School he was a member of the Tennessee Law Review and upon graduation was selected for Order of the Coif. He entered the United States Army as a Second Lieutenant in April of 1971, completing the Adjutant General Corps Officers Basic Course at Fort Benjamin Harrison in Indianapolis, Indiana. He subsequently served as Adjutant of Watervliet Arsenal in Watervliet, New York and as a Personnel Officer with the United States Army Support Command, Thailand at Sattahip, Thailand from December of 1971 through November of 1972. He completed his Army career at the U. S. Army Missile School at Redstone Arsenal in Huntsville, Alabama. Upon completing his military service, he moved to Crossville, Tennessee and has practiced there continuously since 1973. Currently his practice involves primarily real estate, banking, and probate and administration of estates. He represents a number of homeowners associations, property owners associations, and timeshare associations. He has been heavily involved in all aspects of timeshare law. He has also served as delinquent tax attorney for Cumberland County, Tennessee for many years. He currently enjoys an AV rating with Martindale Hubbell and has had that rating for over thirty years. He has served as a Hearing Panel Officer for the Board of Professional Responsibility and presently serves as a member of the Board of Professional Responsibility, which administers the disciplinary process for lawyers practicing in the State of Tennessee. He has also assisted the Tennessee Board of Law Examiners in performing character and fitness interviews for potential bar applicants for many years. He and his wife, Patricia, have been married 46 years. They have two children and five granddaughters.